Paper is a material that we use ubiquitously—for printing, books, and advertisements. Over 40% of the world’s cut timber is used for paper production, and it requires millions of trees to be cut down and uses a lot of water. A research group from the University of Vienna has created a more environmental friendly way to produce paper — from animal poop. Grazing animals eat a lot of grass and other plants. This means that their waste also contains a lot of cellulose. In areas with lots of farm animals or elephants, reusing their waste is a good way to get rid of this agricultural waste and produce paper in a cheap and environmentally friendly way. “Animals eat low-grade biomass containing cellulose, chew it and expose it to enzymes and acid in their stomach, and then produce manure. Depending on the animal, up to 40 percent of that manure is cellulose, which is then easily accessible,” says Alexander Bismarck, Ph.D., from the University of Vienna. Because the animals already process the cellulose originally, less energy and chemicals are needed to turn this partially digested cellulose into cellulose nanofibers than for raw wood. 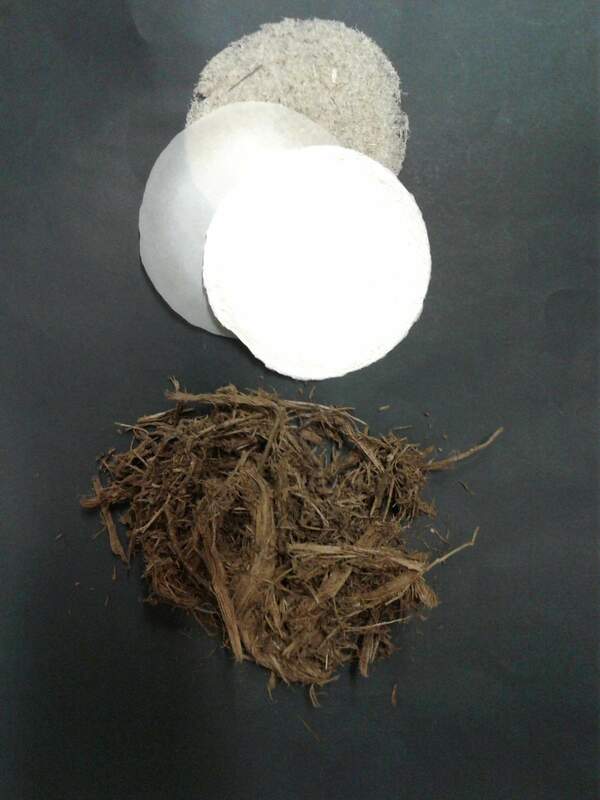 Paper (top) can be made from cellulose derived from elephant manure (bottom). Image credits: Kathrin Weiland. Many types of dung are suitable; Bismarck and his lab group have worked with goat, horse, cow, and elephant dung. Let’s just say that there is no shortage of material either. Parks in Africa where hundreds of elephants live and cattle farms around the world produce tons of manure. “Basically, what is important is that elephant dung is a model system for more relevant sources in the US or Europe, e.g. cow or horse. It was used in order to make it easier to attract students to work on elephant manure rather than cow manure and raising awareness for an endangered species was also a motivation,” said Mautner to ZME Science. To go from dung to a finished paper product, the manure needs to first be treated with sodium hydroxide. This treatment removes lignin, which can be reused as fertilizer or fuel, and other impurities. The material is bleached with sodium hypochlorite to remove the rest of the lignin and to make white pulp for paper. This cellulose then needs minimal grinding to break it down into the nanofibers necessary for paper production. In contrast, when isolating cellulose from trees, much more processing and grinding is necessary. The celluse from animal dung could likely be processed in the same factories where tree pulp is made. “As soon as the fibres are extracted, the process of papermaking is the same. The pre-treatment can relatively easy being done, perhaps already on existing equipment. In the case of nanocellulose, still a grinding step is required but this requires less energy as compared to nanocellulose from wood pulp,” said Mautner to ZME Science. The new paper could be used as conventional paper to write on or for other applications such wastewater filters. The researchers are now trying to produce biogas from the manure for fuel, and to extract the cellulose from the residue to make paper. The results of this research will be presented today at the 255th National Meeting & Exposition of the American Chemical Society. Wouldn’t it be great to have paper without cutting down any trees?